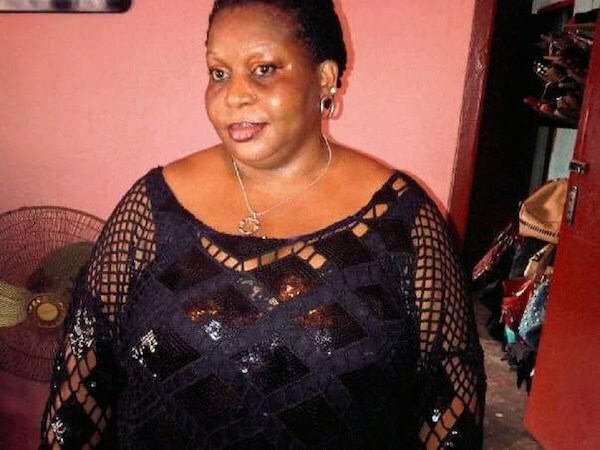 A 43-year-old mother of two has died from her injuries as she was neglected by telecommunication company Airtel Limited after she fell into a sinkhole at their office in Surulere, Lagos State. On Thursday 29th of December, 2016, Chika Alex-Etuk visited Airtel office at 11, Adeniran Ogunsanya Street, Surulere, to obtain and register a new Subscriber Identification Module (SIM) for her phone and to take her 2 children ages 6 and 7 years with her friend who came on a visit from South Africa for shopping at a local shoprite mall Surulere. According to DeeReporters, Chika was at Airtel premise at around 1pm and was asked to fill out a form which she did. She was then ushered by one of the Airtel staff to stay in a position to take a photograph which was one of the requirements for the SIM registration. 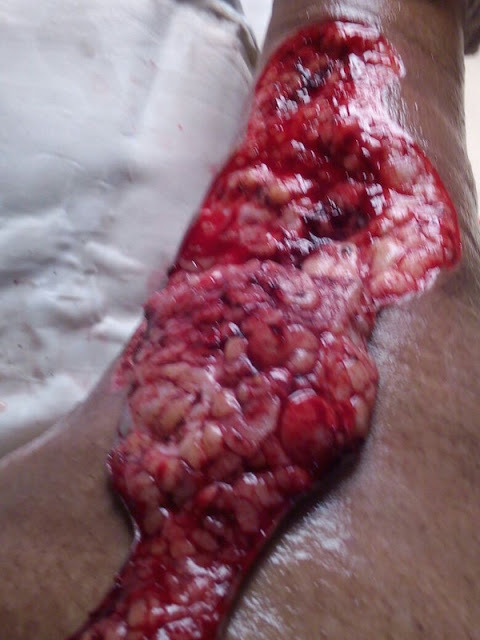 As she stepped to the area directed by the staff, the tiled floor on the spot where she stood caved in, Chika fell into a sinkhole and her left leg got stuck there up to her knee. She sustained multiple lacerations to her lower leg, cuts around her thigh and went into shock from the severe pain and loss of blood. 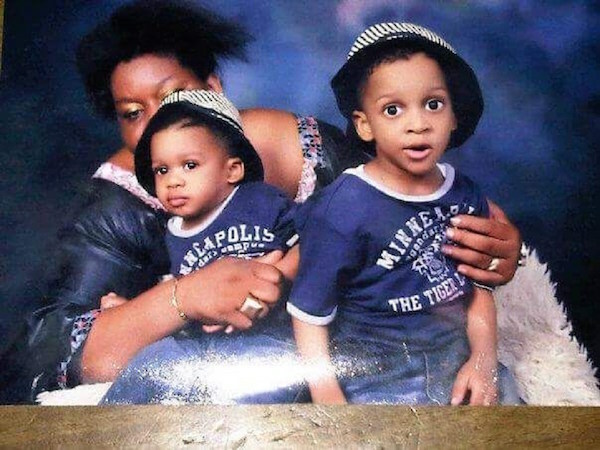 Her children where traumatized by the incident which has now affected them mentally and physically. Her children were not shielded from the scene, they watched in horror as a chunk of their mothers flesh laid on the ground while she yelled out, for hours, in pain. The first son (now age 8) has developed breathing problem, he is not able to sleep well, while the second son (age 6) is always in and out of hospital, not able to communicate or play with other children. The incident plus the death of their mother has left the two boys severely traumatized, especial the six year old son who is always afraid to sleep at night because he wakes up sweating, screaming and calling out for the mom (with tears) to come back home. When one of DeeReporters correspondence visited the family, the 6-year-old son said he told the mother not to go out on that particular day. It was gathered that the response of Airtel was practically non-existent when the accident occurred. They all first ran out of the building according to on lookers, few minutes later they came back sporadically, they just stood there and watched as she laid in pain. Some reportedly ran away without looking back. 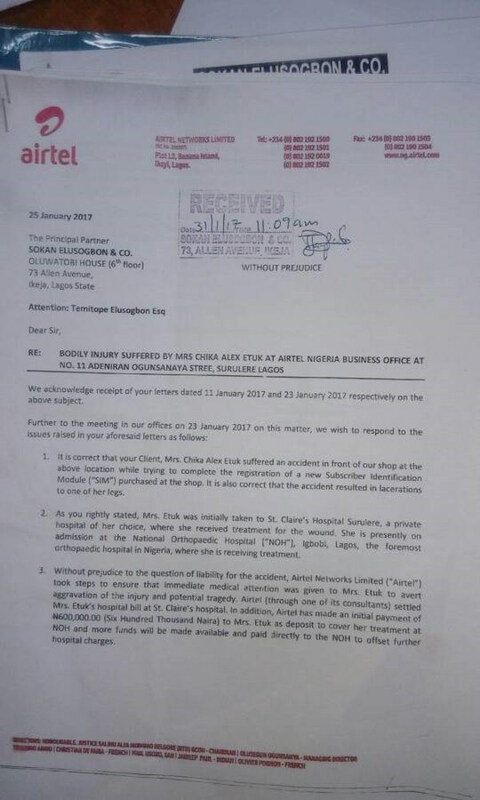 Eventually, the late Mrs Etuk was taken to a nearby hospital by her friend and other sympathisers where she was refused treatment because they could not handle the severity of the bleeding and injuries. 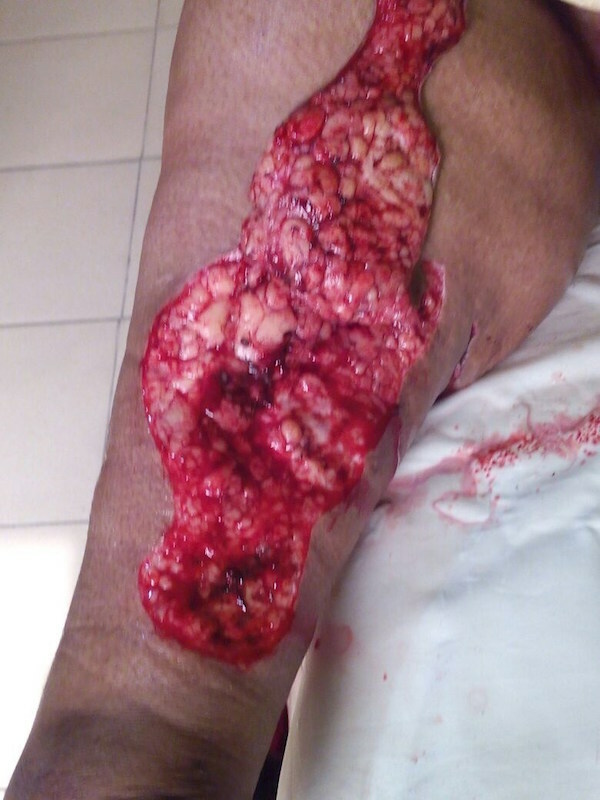 She was immediately rushed to St. Claire’s Hospital in Surulere, Lagos. The staff of Airtel Network reportedly did not make any attempt to rush her to a hospital or offer help in any way. 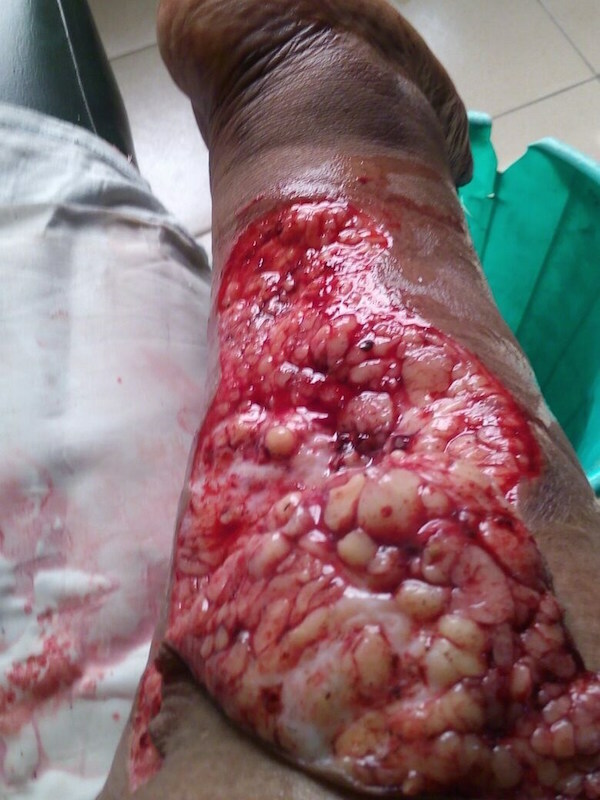 She was later admitted to the Emergency Ward of National Orthopaedic Hospital Igbobi, Lagos. After a long stay in pain and agony at Orthopaedic hospital, she later died on the 30th of January, 2017 after a surgery on her leg. 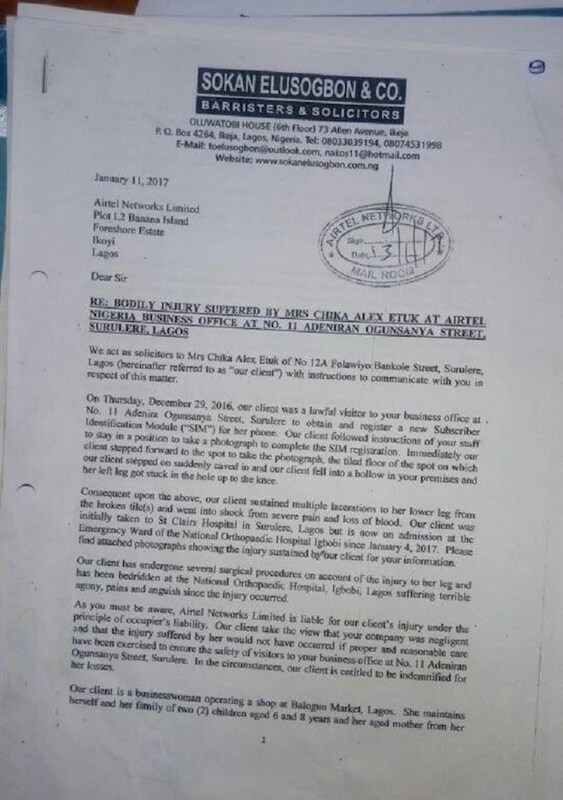 Family members say Mrs Etuk’s death was preventable if not for the gross negligence of Airtel Network and their lack of human empathy. The company offered the sum of three million naira (£7000 pounds) to late Chika’s family as compensation and to prevent the news from going public. 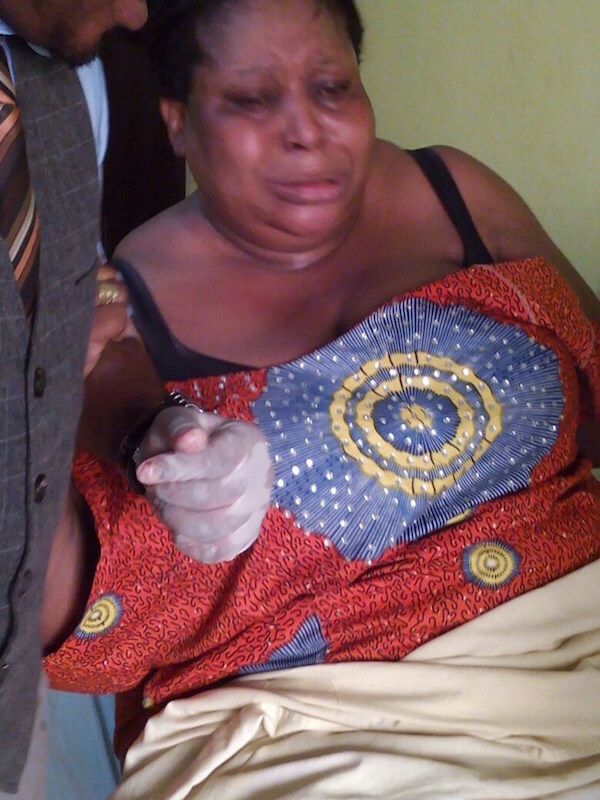 Mrs Etuk was reportedly the bread winner of her family. The late Mrs Etuk was a member of The Redeemed Evangelical Mission (TREM), a church worker in the “We Care Ministry” department of the church. 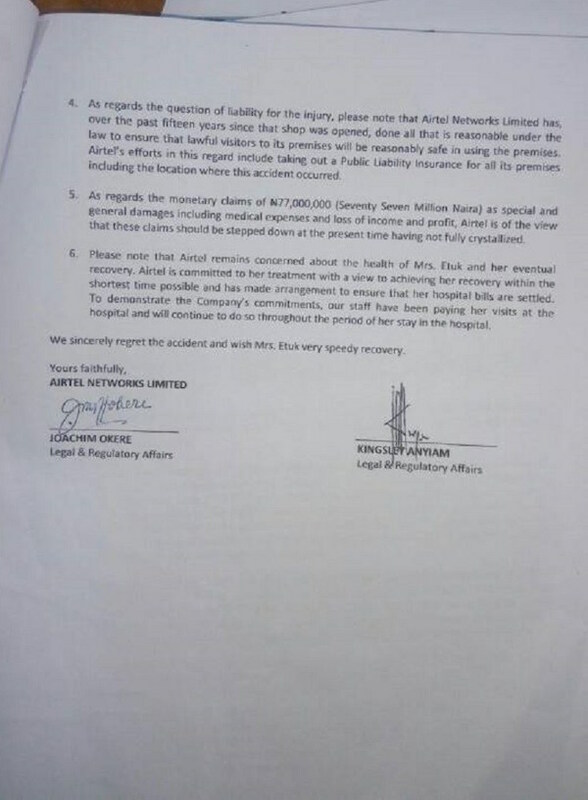 Airtel Limited later offered its condolences in a series of letters in order to prevent a law suit. Very disturbing news, especially so, for the inaction of the Company concerned. What an insult!!!! 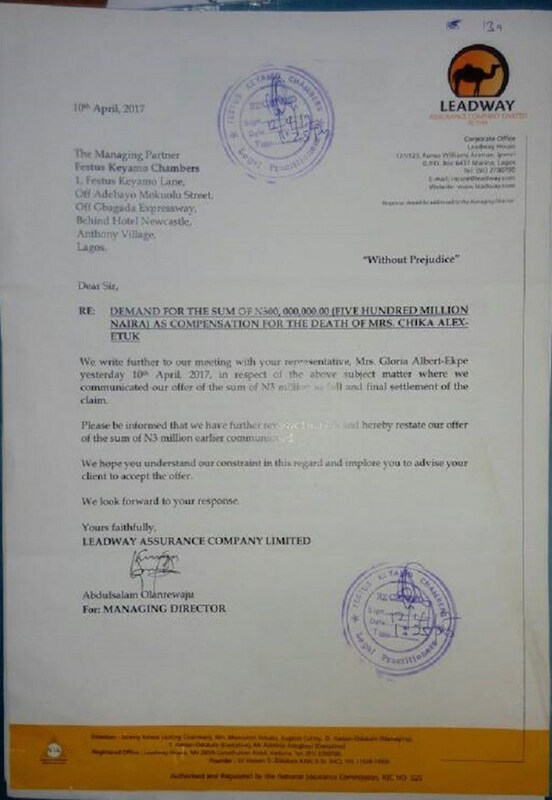 3m naira offeeed does not even begin to compensate anything. Its corporate manslaughter. The pain, death, early demise, loss of earning, care and post-traumatic effect upon her children, their life nurturing and education. All these need be factored into consideration when compensation awarded. The Company, need be sued.